I mentioned a little while back that I was going to do a new photo challenge with instagram and my phone. I started out just planning on taking a picture a day for an entire year. Once I got started, I noticed other people doing something similar but there was a common theme. As far as I know, this lady, Chantelle, created the graphic that tons of instagrammers are using to inspire their year-long photo challenge. I started using her prompts and have really liked it. First, a personal favorite. 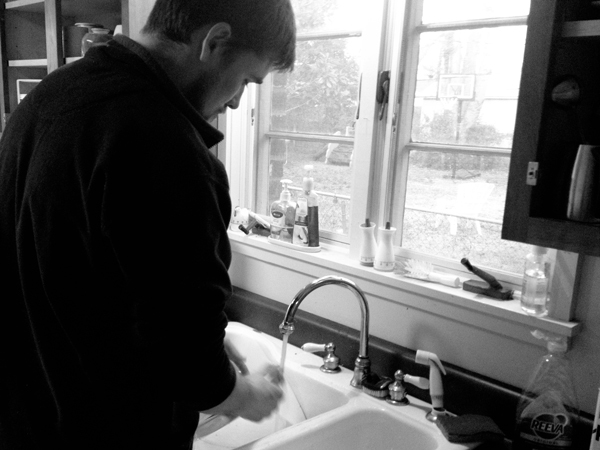 My husband doing the dishes = happiness. Then there's the dinner he made. 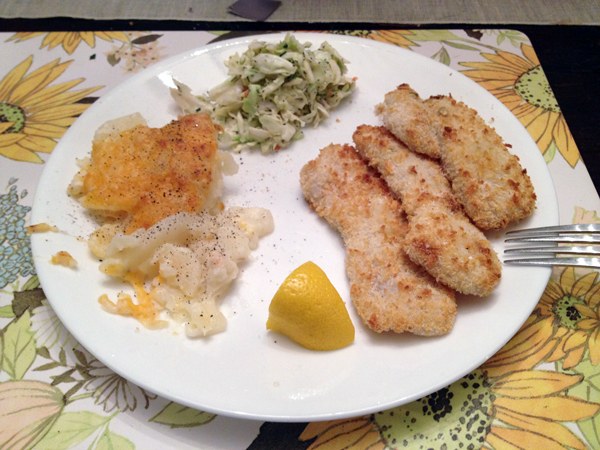 Baked fish, cheesy potatoes and cole slaw. Mmm. Good food and not having to cook it = happines. Did I mention I wasn't feeling well this day? No? Oh, well that explains how I managed to get him to cook and do the dishes in one night! Then there was my Sweet P and her chalk. 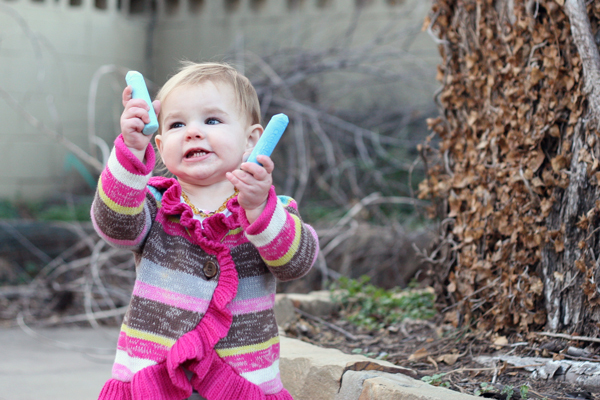 I was happy it was warm enough to be outside to a little bit and she was happy to have her chalk. 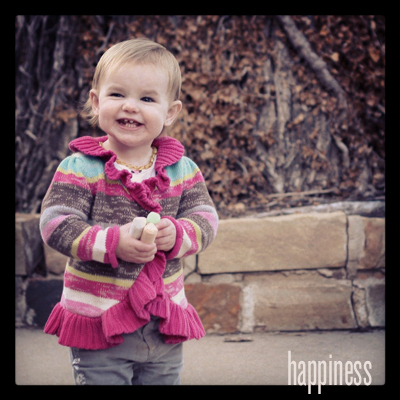 The kid and sidewalk chalk = happiness. I finally decided on this one. I love that big ol-gap-toothy-smile. It makes me happy. That girl makes me happy. What a sweet post. Love the effects you added to the last pic and the cropping. It looks really nice. PS: I looooooveeeed your post about being a "pinaholic"! Hilarious!